This was just how I imagined it would be. As we arrived, it wasn’t quite day or night. 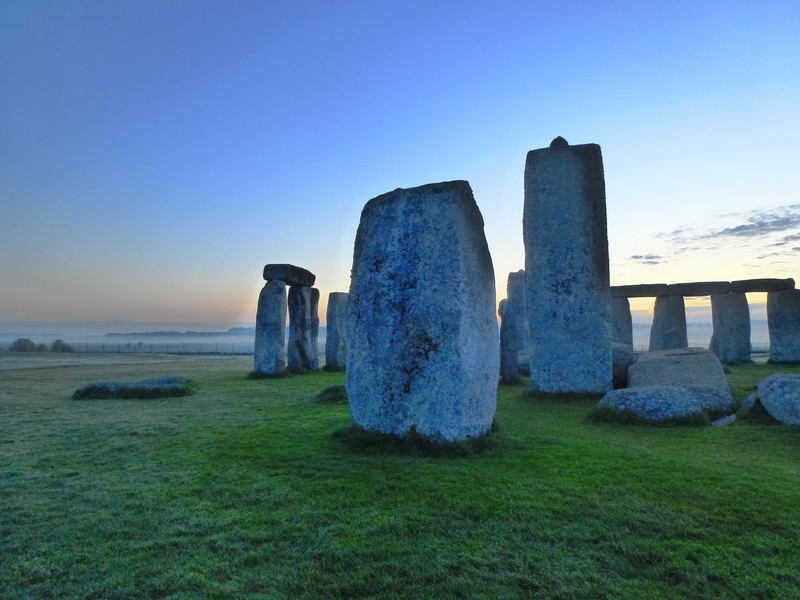 In the distance, Stonehenge emerged out of the mist. There was something very special about the dawn light. It seemed velvety soft. With stripes of pink sky on the horizon, it held all the promise of a sunny day ahead. 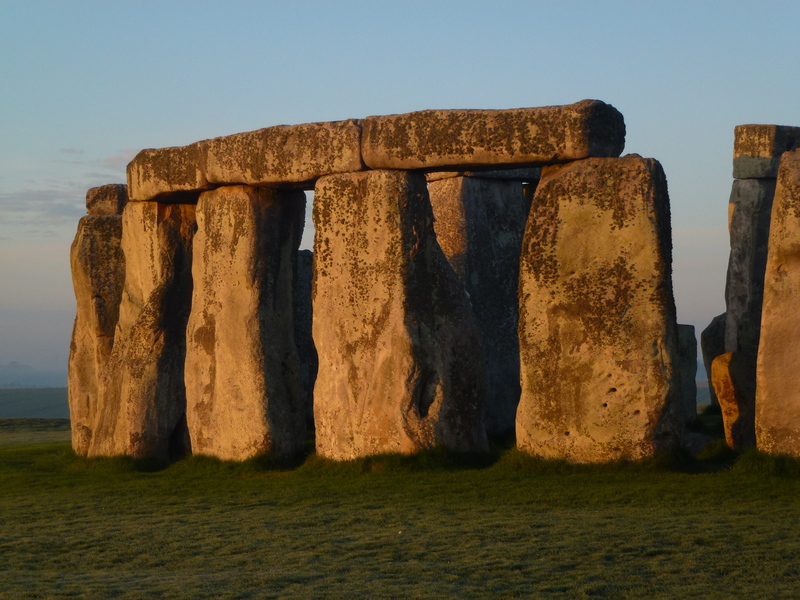 Frost covered the fields which surrounded the ancient stones. The light may have had a warm glow but it was a freezing morning. This was so different to the last thing I did on my List for Living. 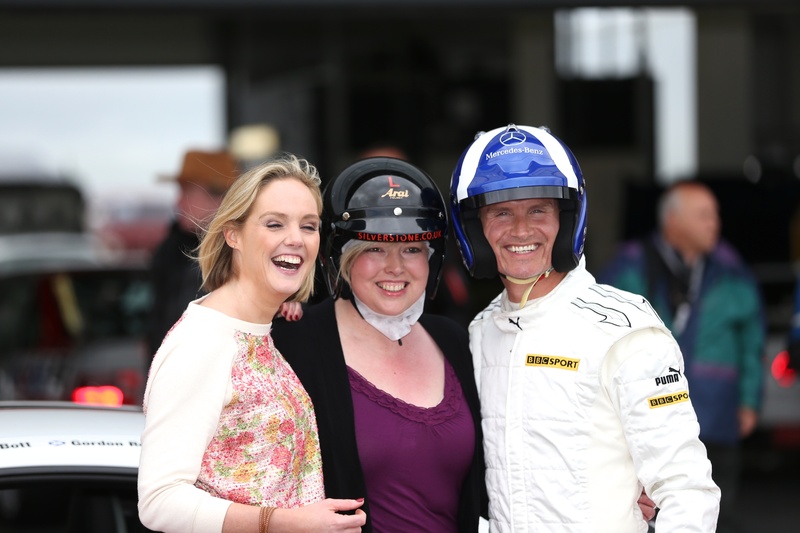 Just days to go before the end of my horrible toxic treatment, I was racing towards the finish line at the British Grand Prix circuit with David Coulthard. Last week I had my final chemo, for a while at least. 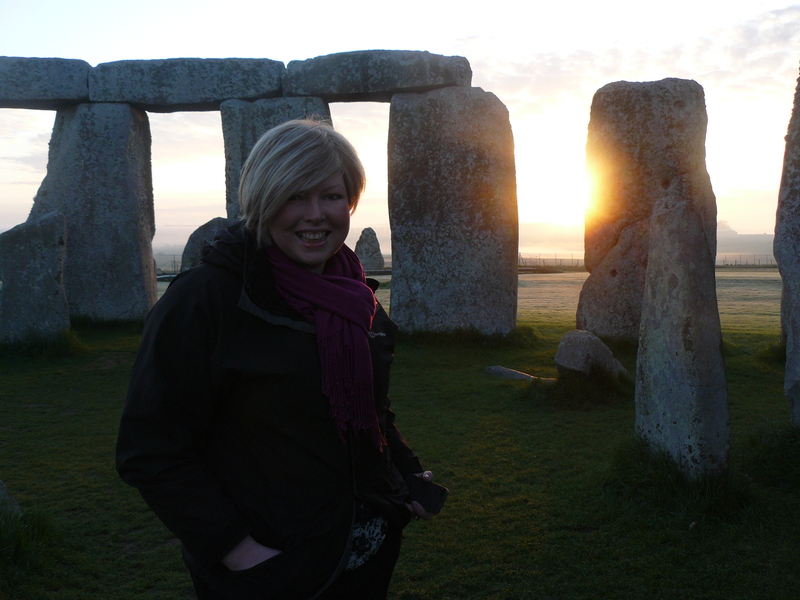 So being at Stonehenge a couple of days afterwards for my List for Living to see the sunrise felt very symbolic. Slowly I will start to feel better as the anti-cancer drugs leave my system. It means that I have a new start. As it got lighter, pinks and purples started to spread across the sky. 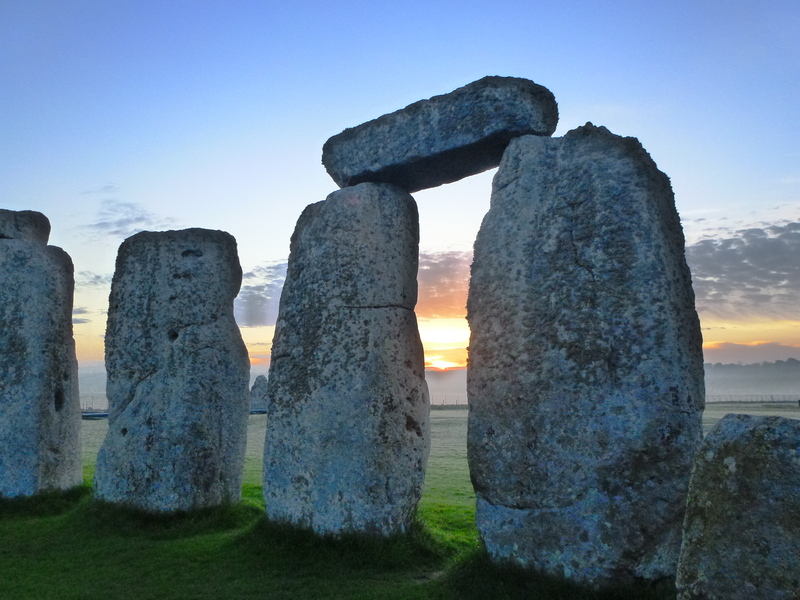 I was alone in the prehistoric circle of stones. Waiting and hoping. There was no guarantee that there’d be a sunrise. It had to break through the mist and the low sung clouds. But then at exactly 5.14am I got to see no 16 from List for Living. 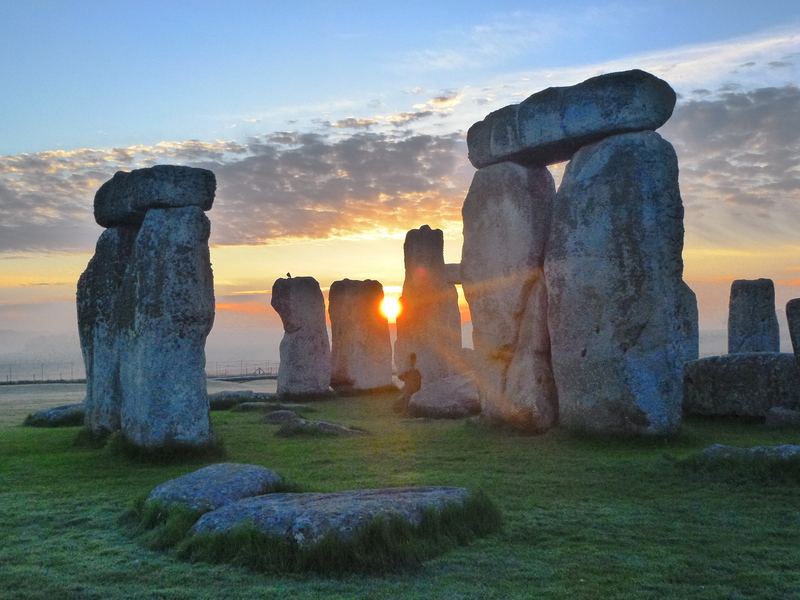 Sunrise at Stonehenge. It was glorious. As I watched the sun get bigger and brighter and higher in the sky, I felt excited about my future. It may be shorter than it should be but I know that it will shine brightly. 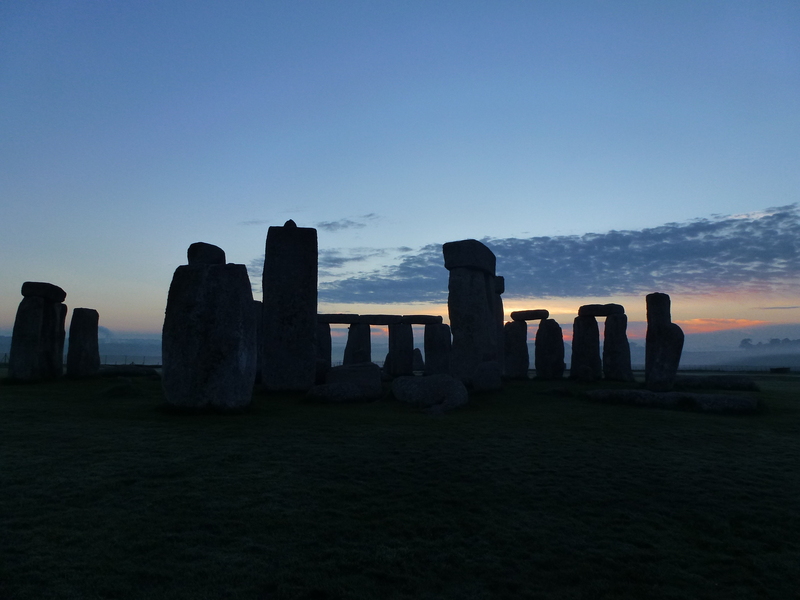 Seeing the start of the new day at one of the oldest monuments in the world was such a simple thing but it made me so happy. I’ve wanted to do this for ages. 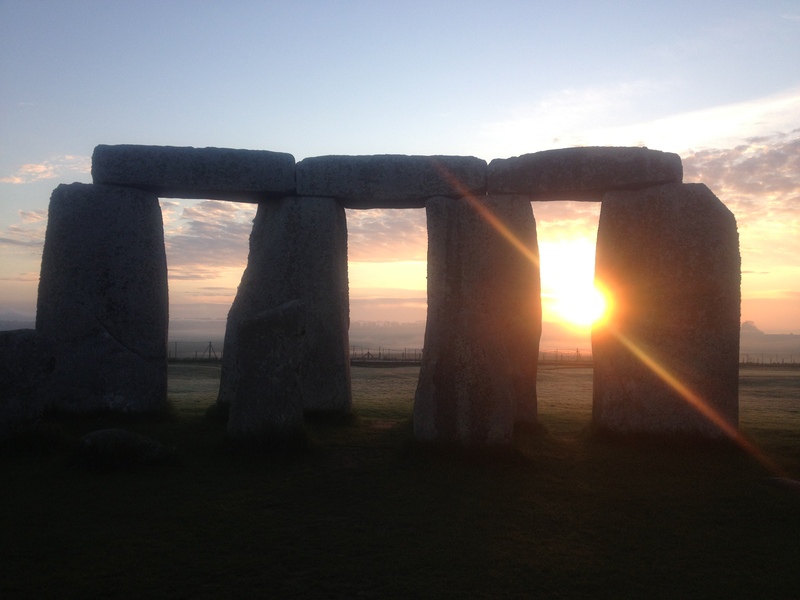 It felt incredible to be stood in the very heart of Stonehenge all on my own and see the sunrise. Well, I wasn’t quite alone. Rache was with me. She’s my friend who came to chemo with a bundle of mobiles. Rache always has four or five phones with her. She’s sometimes known as Raquel. What else could I wear for the occasion than my Raquel wig?! As the sun came up, we were the only visitors. 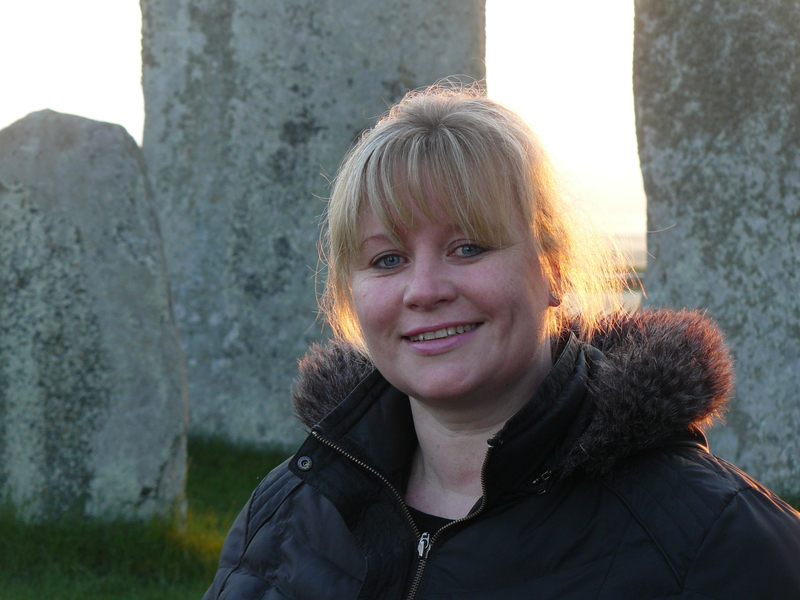 While I was in the centre of the stones, Rache stood on the outside of the circle taking photos. Most of the ones on here were taken by her. We’ve known each other since A Levels, back then we also both took a photography course. We’d often get sent out to take shots of random things. Graveyards, bad perms, clock towers. This has to be the best place that we’ve ever taken photos together. We were so lucky with the weather. 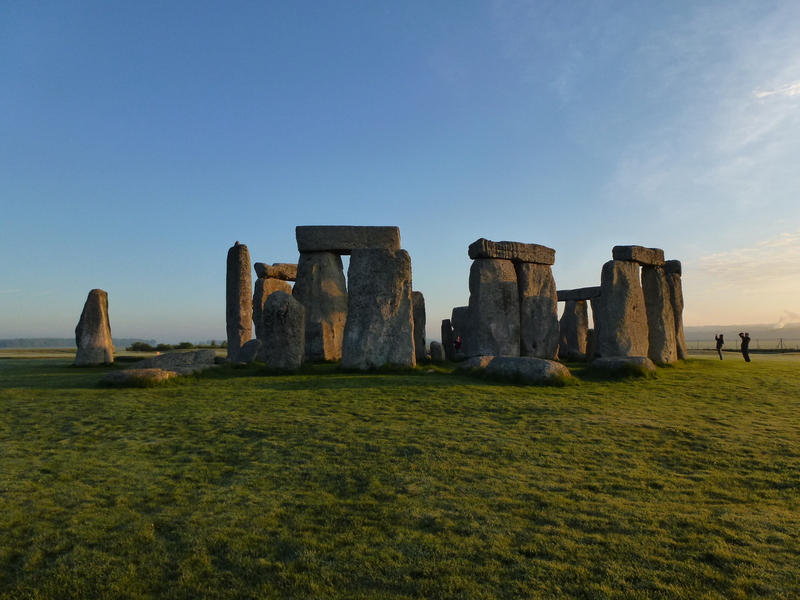 It’s only on certain days that English Heritage allow small pre-arranged groups of people into Stonehenge in the early morning. I don’t think that the weather could have been any better. There was something magical about the sunrise. Before and especially afterwards I felt so terribly ill. But for that moment, the chemo side effects seemed to lift. If it was just up to me, then I doubt that I would have seen it quite so soon. 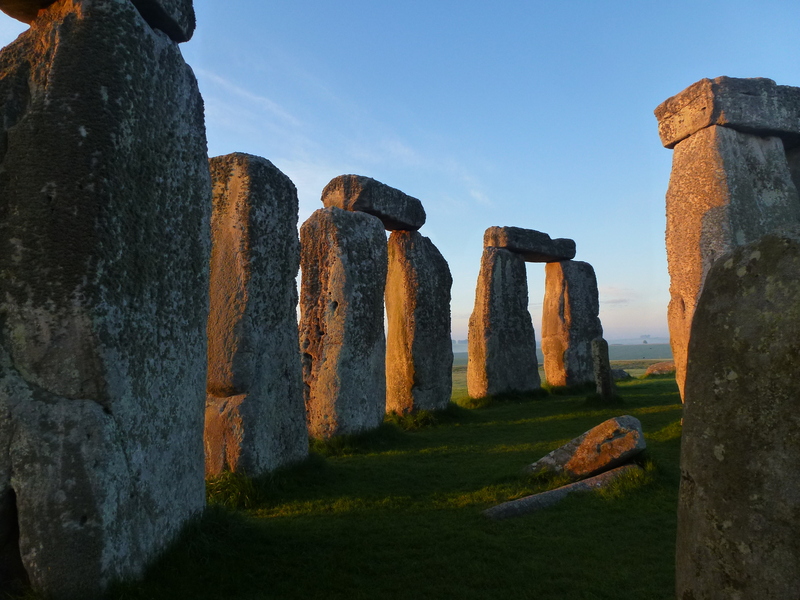 When I first wrote about my list, the BBC’s West of England correspondent, Jon Kay offered to help and it’s thanks to him that I ended up at Stonehenge on such a perfect day. It was a great way to mark the end of my latest treatment against my stupid cancer. I don’t know what will happens next or even how much time I have left. 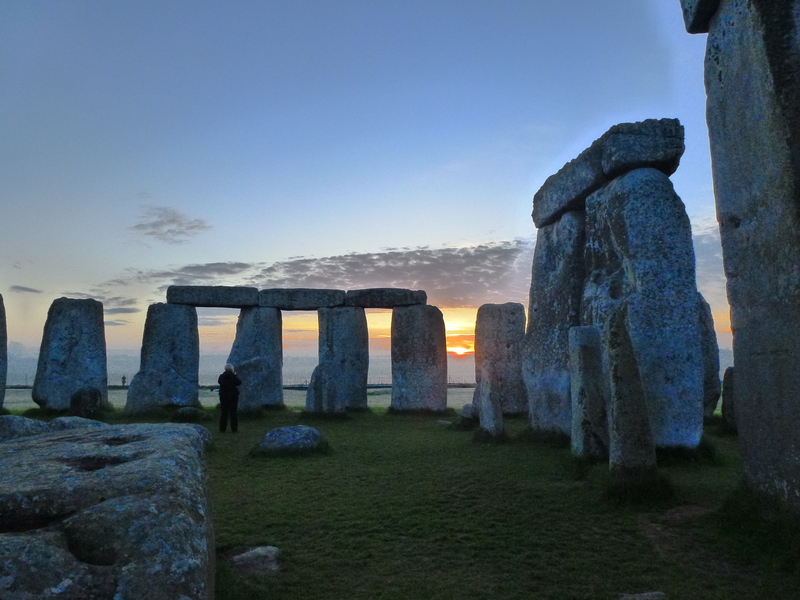 I’m sure that when Stonehenge was built no one could have predicted that people would still be enjoying it so many years later. It’s a timely reminder that some things last a whole lot longer than expected. Big thanks to Jon Kay and English Heritage. Hooray this was my last ever chemo! Well, not quite. But last for some time, hopefully. 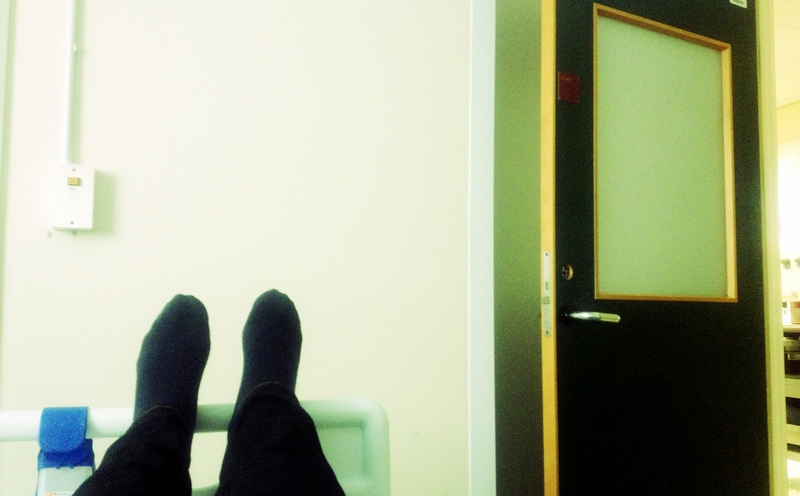 Appropriately enough, I had the treatment in the same side room as my last, last ever chemo, last year. For the final dose I had to go past the garden of tears to get to the chemo unit. 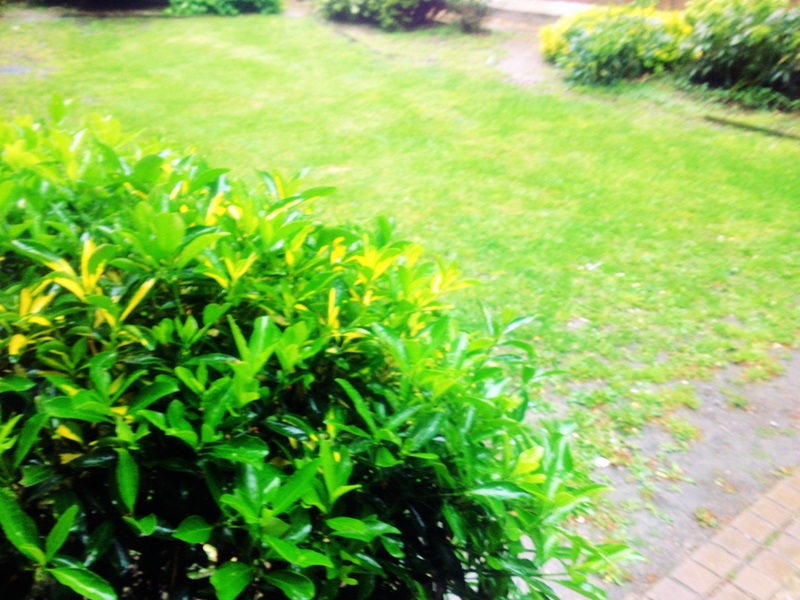 It’s a small square of green outside the hospital where you can go if you need a moment. It was there that I posed for photographs to celebrate my last chemo nine months ago. This garden reminds me of the brief time last year when I was cancer free. When I saw it I thought I’d be sad but I felt surprisingly good. It’s hard to believe that I’ve had so many toxic chemo cocktails and yet I didn’t feel too ill. 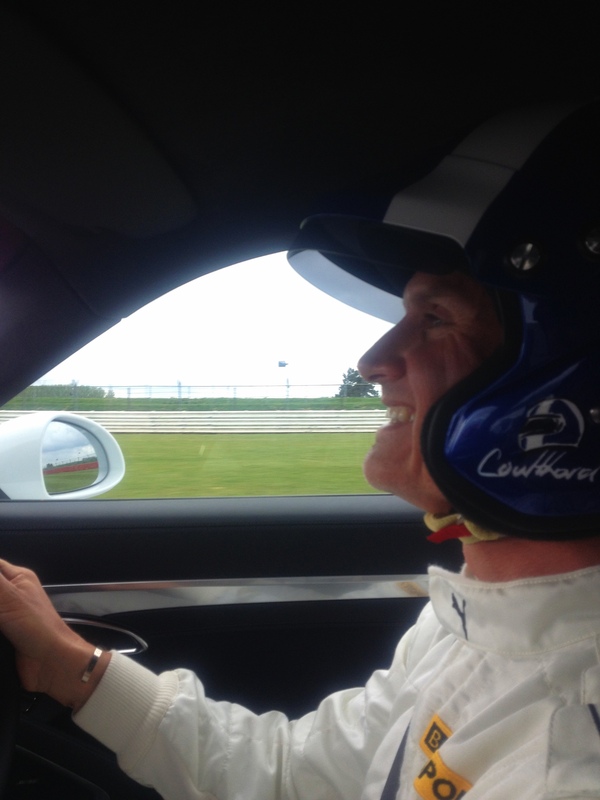 I think that my spin around Silverstone with David Coulthard from my List for Living gave me such a boost that the side effects hadn’t been so awful. As I entered the revolving doors I was glad that I was able to walk into the hospital. I had the physical strength to get in there myself. I didn’t need any assistance. And, most importantly, I was still able to have treatment. I may be living with cancer now but it can still help me. That’s perhaps also why I didn’t feel too terrible. Chemo has become part of my life. I may have felt well when I went in. But hours of poisoning later and it was a different story. I felt so drugged up. It seemed like I’d been given extra strong stuff as it was the last one session. Chantal, my friend the flower girl, slowly led me back out of the hospital afterwards. My woozyness and the wet weather outside meant we didn’t linger for photos. Besides, I knew that I’d be back but I wasn’t focusing on that. For 11 out of the past 14 months I’ve had cancer treatment. I really need a break from it all. Chantal drove me back to my parents in her flower van. As we headed through the rain to the countryside I was dreaming of my chemo holiday. Yay! It’s another big tick for my List for Living. But it didn’t quite happen how I imagined it would. When I came up with no 36 on my list I thought that a friend of a friend with a flash car would take me for a ride. We’d probably drive around a small, local race track and that would be it. However my friend Amanda who’s a sports presenter for CNN had a rather different idea and offered to help arrange something much more special. 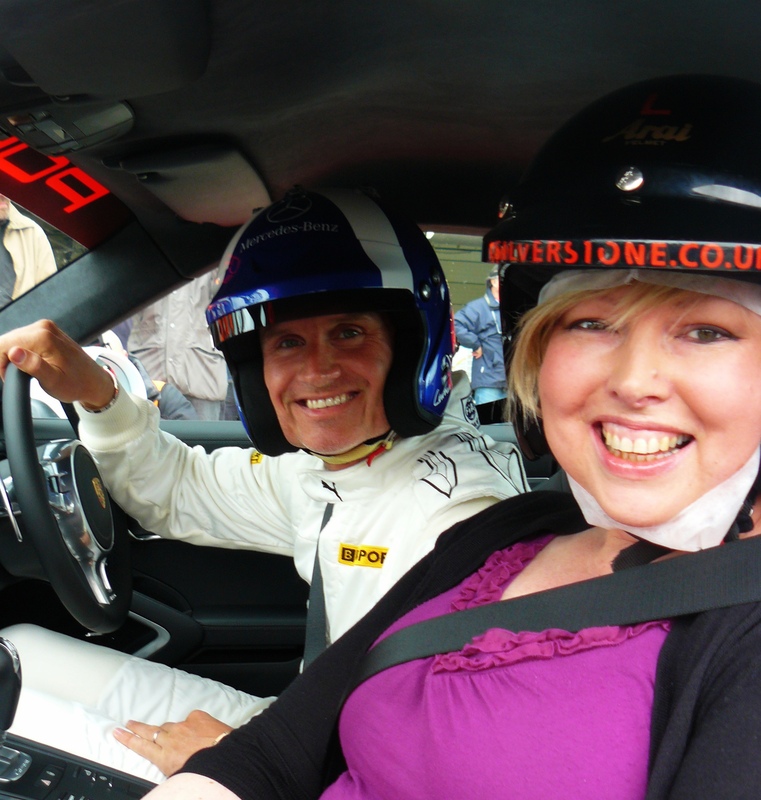 The former Formula 1 driver David Coulthard straight away agreed to take me for a spin around Silverstone. Who better to drive me than someone who’d twice won the British Grand Prix on the legendary circuit. We set a date in-between my chemo sessions near the end of my treatment. It gave me something really exciting to look forward to. I have to admit that I was nervous. These days the most frightening things in my life tend to be appointments with my oncologists to discuss my stupid cancer. So as DC helped to get me all kitted up, it felt brilliant to be scared about something that was going to be so much fun. It was pretty surreal being there. 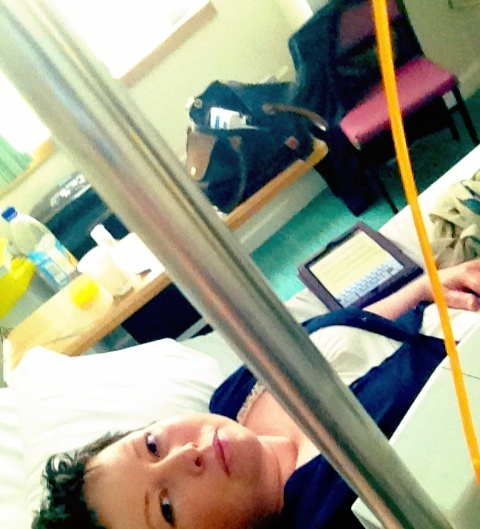 The day before I was in a hospital bed hooked up to a drip of toxic drugs. As the poison slipped into the veins I looked at the race track on the internet using my iPad. I tried hard not to listen to the two elderly patients next to me who were comparing their cancers. 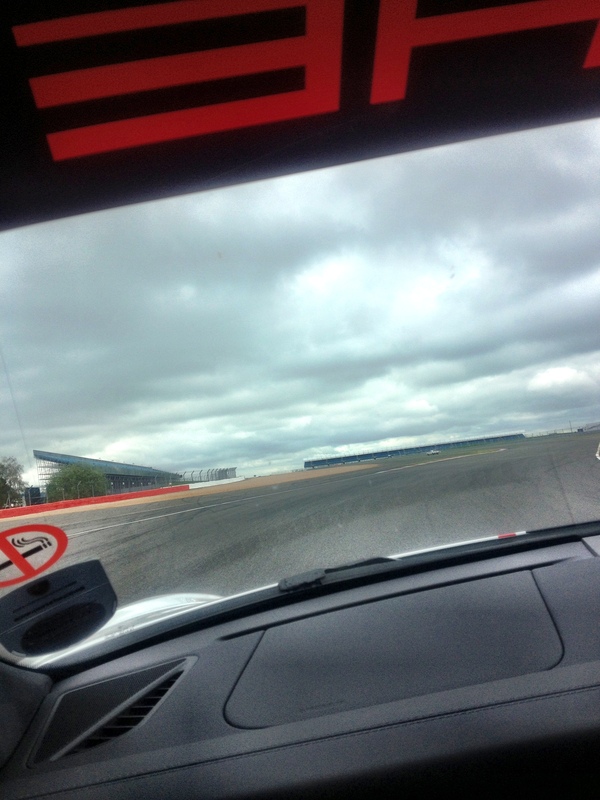 Less than 24 hours later I was at Silverstone. 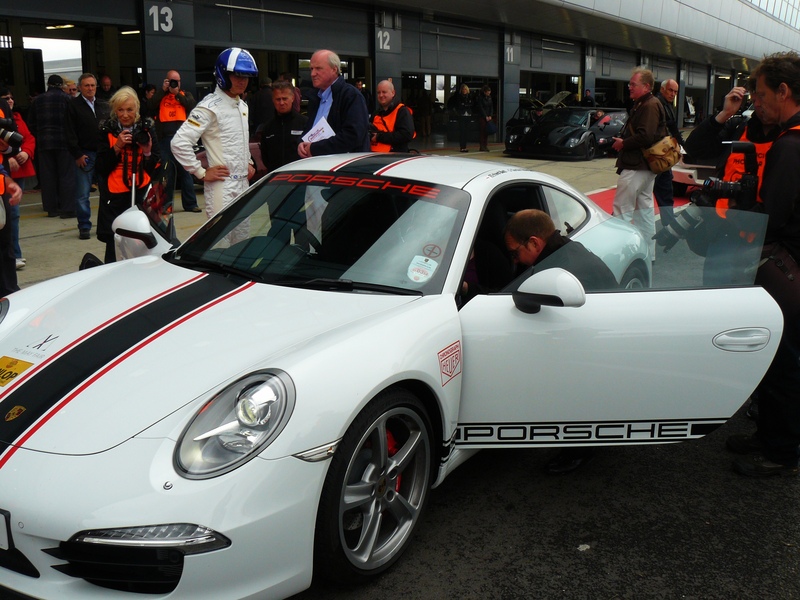 Porsche lent us a 911 for the occasion – £100,000 worth of car. When it comes to being in a hospital bed verses a Porsche, I know which one I prefer! We zoomed out of the pit lane. As soon as we went past the green light at the start of the track DC accelerated so hard that it took my breath away. I wanted to scream but nothing came out. He told me this was just a warm up so I’d get used to the speed. A warm up?!? ‘’Are you ready for the first corner?’’ I just about squeaked a yes. I soon understood why he’d checked. Braking into a corner felt almost like doing an emergency stop at full speed. Then we got fast, real fast. David was very relaxed, pointing out the best parts of the circuit. Apart from his hands on the steering wheel, he didn’t seem to move much. Meanwhile I lurched from side to side, gripping the door handle for support. Once I got my breath back I managed lots of screams and plenty of oh-my-god-oh-my-god-oh-my-god. My fear was so funny and we laughed our way around the track. There were a couple of other cars out there. For a few seconds we hovered behind them. Then over the noise of the engine I shouted “take ‘em”. DC was more than happy to oblige asking if I wanted him to use the inside or outside lane. I’m sure the other cars were driving quickly but it was clear we were in a totally different class. 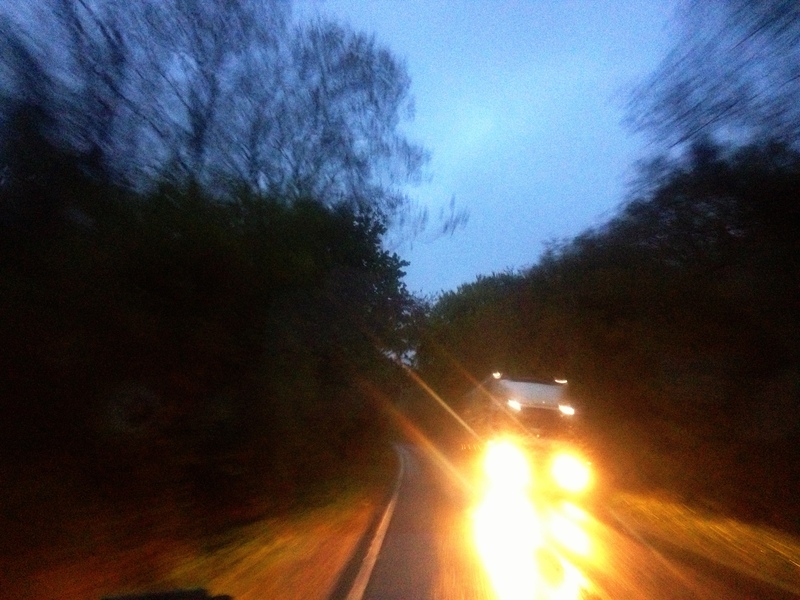 Every time we overtook them, it almost felt like we were supersonic. Our top speed was around 145 mph! It was terrifyingly thrilling and yet I felt very safe. 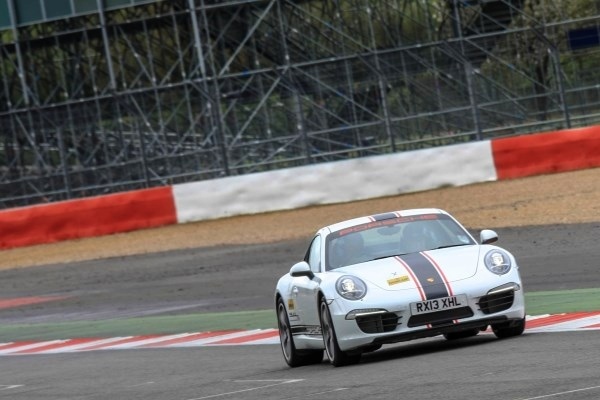 Even if I couldn’t stop myself from being thrown around the Porsche every time we went around a corner. We did two laps of the Grand Prix circuit. It was an amazing ride. When I stepped out of the car I was a bit shaky but very happy. Cancer takes away lots of the good stuff in your life. It creates many lows. You spend far too much time thinking about death. My List for Living is all about ensuring that I have plenty of highs too. This gave me such an adrenalin buzz. It felt like I’d just a won a race. Standing on the edge of the track with Amanda and David afterwards, I realised that doing something incredibly scary had made me feel so very alive. 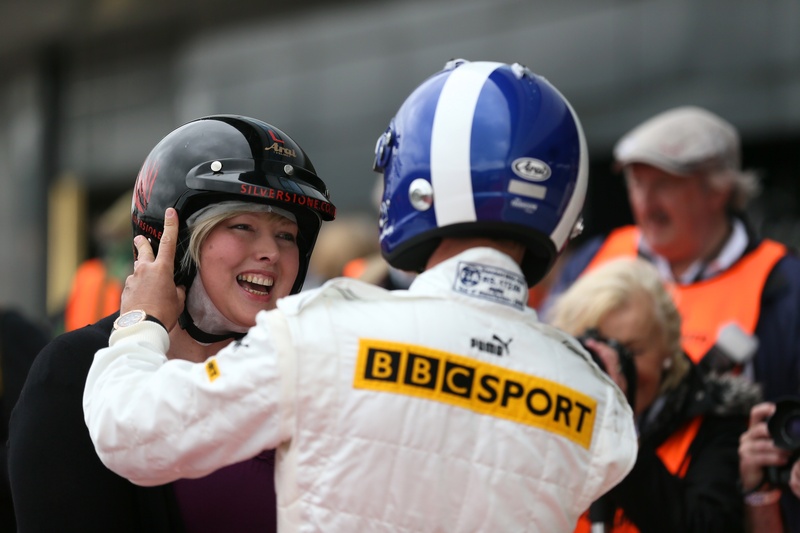 A massive thanks to Amanda, David Coulthard and his BBC team, Silverstone and Porsche for making it all happen. Could it have been the fabulous weather? Or the fact that my treatment is almost over? Whatever the reason – I felt great during chemo#16 yesterday. Yes, all the cancer stuff is terrible of course but not every moment is horrible. Far from it. 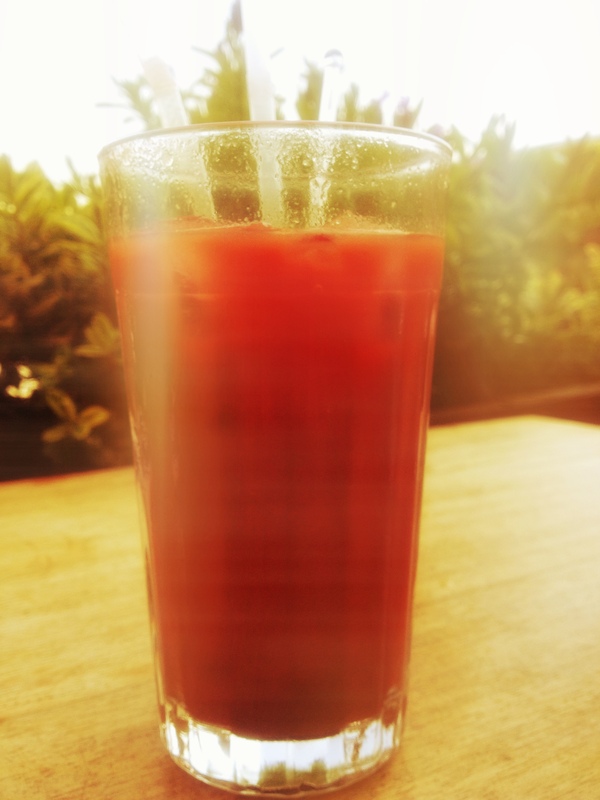 Before the toxic chemo cocktails started, I had a proper cocktail while sat outside in the sun. To say I enjoy the treatment would be wrong but most of the time I do enjoy life. Going through all this makes you appreciate the small stuff even more. 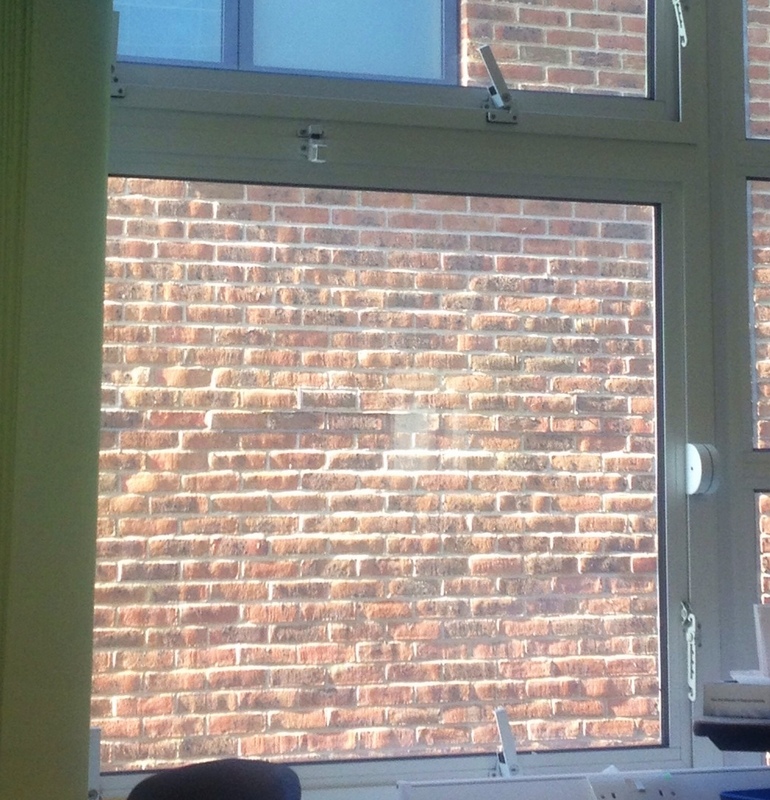 Normally my view from the chemo ward is just brick wall. Yesterday I had something new. A different brick wall! When I realised this, it genuinely made me happy. It really did. From my bed I got to look out at some lovely old red bricks which were a bit higgily piggily rather than the uniform, more modern bricks. Then again maybe I’m in such a good mood because I’m going to do some amazing things on my List for Living today. All will be revealed very soon…. Merry Christmas from the chemo ward! 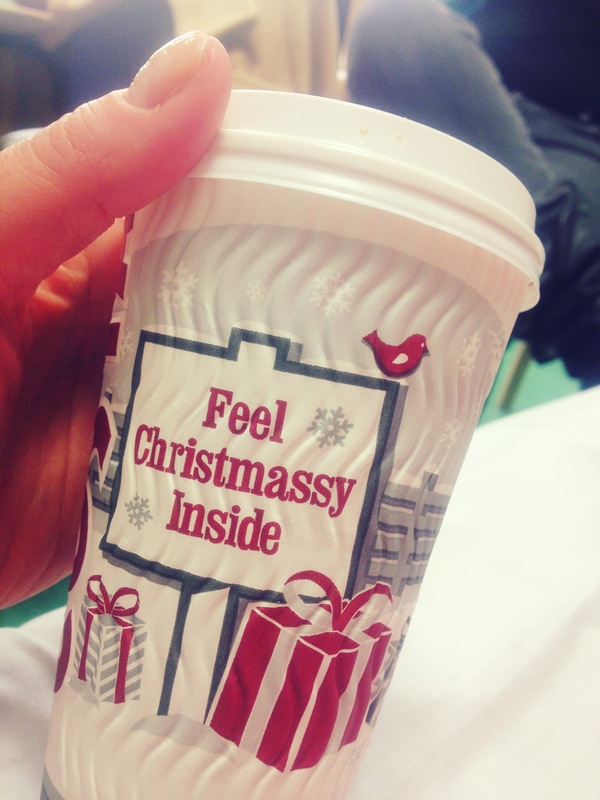 I’m not sure why but the coffee cups now come with a seasonal greeting. The weird thing is that it could well be Christmas for all I know. When you’re going through intensive treatment which lasts for such a long stretch, time seems to be elastic. Months melt into each other. You lose track of the seasons. Each week is pretty much the same and mostly spent inside. The first ever time that I had chemo more than 11 years ago I found this so hard. I really missed the elements in a way I never could have imagined. I longed to feel the rain on my face, to get cold waiting for a bus. It wasn’t until then that I understood how much the weather helps you to feel alive. It doesn’t matter if it’s good or bad. In fact I think that bad is better. That’s why one of the things on my original List for Living was to experience extreme weather. And I certainly did that. When I was based abroad as a foreign correspondent I lived through some of the coldest temperatures on record. There was plenty of snow, ice and all sorts of wonderful wintery weather. Perhaps that explains how come I’m not quite so worried about being disconnected from the weather during this lot of treatment. Even so, I do what I can to be out in the elements. Before chemo#15 I had lunch outside with my friend Anna. I wanted to absorb as much of the sunshine as I could before an afternoon in the not-so-great indoors. 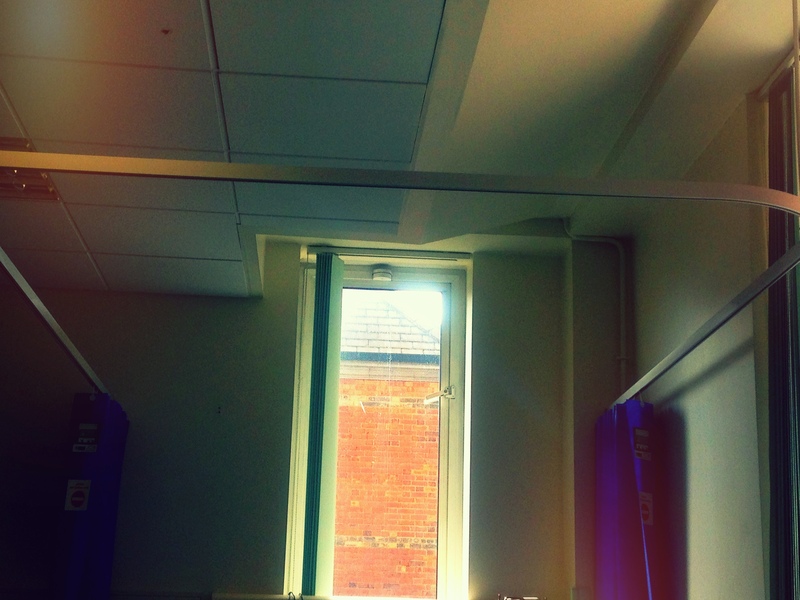 Once on the ward, watching the sunlight bounce off the bricks, was as good as it got. This kind of view only adds to the feeling of your life being put on pause. But last week I found out that I’d actually managed to turn back time. To make sure that the toxic drugs aren’t doing too much harm to your body you have various tests. One horrible side effect is that it can seriously damage your bones. A while ago I had a scan to check their density. I’ve now discovered that amazingly I have the bones of a 20 year old! At hospital there was some more good news. I was told that I won’t have the week of chemo which I missed tagged onto the end of my treatment. It means that I’ll finish in just over a week as planned. It’s like getting a week back which is brilliant. I’m so incredibly overwhelmingly tired of it all. I’m relieved that my third series of anti-cancer treatment will be over soon. I always seem to have chemo at the same time of year. With bank holidays and the start of spring I know that once again, it will be over soon. 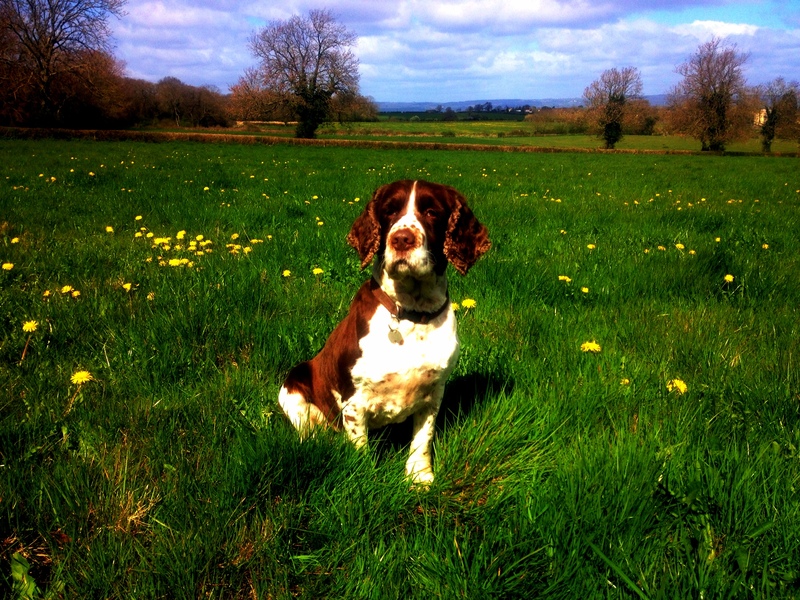 There’s another sign that it won’t be long ’til the end of chemo – Sasha the dog has had her winter coat trimmed. She is all ready for lots of sunny days outdoors where once again she’ll be helping me to recover from the past few months.